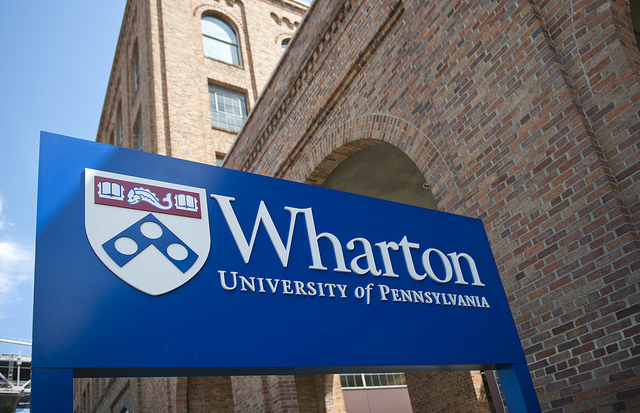 The Wharton School provided only two interview options for US candidates: Their main campus in Philadelphia or their West Coast E-MBA campus in San Francisco. Based on my blanket time and cost strategy, I chose the San Franciscan option. I also ended up saving an additional $250 on my ticket by flying out of Long Beach instead of LAX. Sweet. Being early for each of these interviews was very important to me, as I hate being late. Since I know LA like the back of my hand, about 30 minutes is sufficient for any local interview. In unfamiliar territory, however, I find it necessary to take additional–and sometimes extreme–precautions to ensure that my time cushion is sufficient. I arrived in San Francisco at around 8:45am after a short flight from LA lasting one hour and one minute. I had been smart enough to pre-book my transportation to and from campus (I know little to nothing about navigating San Francisco) and was literally able to walk out of the airport and onto a shuttle about 5 minutes later, arriving on campus suited and booted at about 10am–hours before my scheduled time to interview. When I first got dropped off by the shuttle, I wasn’t quite sure whether I was in the right place. It is a historical building in downtown Frisco (what people in LA call San Francisco) right on the water and next to the Oakland Bay Bridge. I was expecting a big “Wharton” sign to be plastered on the building. As it turns out there IS a big “Wharton” sign on the side of the building that faces the bay; however, from the street there was no sign that I was in the right place at all; good thing I had typed the address into my phone. Wharton is located on the sixth floor of the building. What I got most from the environment was its warmth. Everyone from the receptionist to the professors to the E-MBA students that were working on projects before or after classes were extremely personable and welcoming. I loitered in and around the building for a good number of hours (I had convinced myself that I would blog and get other work done while waiting. LIES. I toggled between reviewing my team-based discussion information from the invite email and watching Wharton videos on YouTube). When it was showtime, I went back upstairs (I had been up and down all day. I think the receptionist got tired of seeing me) just as the other folks who would be interviewing arrived. And, as it has been with every event that I have been to thus far, exactly one person recognized me after putting 2 and 2 together from my blog (shout out KP! I hope to see you at admit weekend along with the other members of our awesome discussion group!). Whether in a room of 200 or a small group of 6, my cover has been blown by exactly one person every single time. Astounding. DISCLAIMER: Out of respect for both Wharton and Booth, I’ve chosen not to go into too much detail about exactly what was said during each interview (so don’t ask. Thanks!). What I will say about Wharton’s team-based discussion, however, is that I like it. I like it a lot. Who knows? It might just be something that makes you feel better because you got to express yourself; like an application with a high essay word count allowance (i.e. 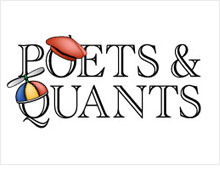 Stanford, comparatively at least) or a PowerPoint (Booth) or video (MIT Sloan) essay option. It might not increase one’s chances even one bit; however, for a person like me who presents better in person than on paper, its a dream. It’s also very smart on Wharton’s part. The whole point of the admissions process is supposed to be to build a class of students who will contribute the most to the intellectual richness of the environment for their classmates, right? Well, this team-based discussion cuts right to the chase. The adcom really gets to see how you ACTUALLY behave in a group environment. I was very pleased with both my team-based discussion and my one-on-one interview with the adcom. While I know that there will be many people who have strong interviews who WON’T be admitted (the interview is just an additional data point that is taken into consideration along with the rest of your written application) I always feel that my chances will go up just slightly when I get the opportunity to present myself in person. I ended up making it back to San Francisco airport in just enough time to board my plane and land safely back in Long Beach later that night. My plane did, however, have to circle the Long Beach airport for an extra 40 minutes waiting for a ridiculously thick, low fog to clear. That was no fun in a suit and tie. SIDEBAR: I had not worn a tie in so long that I had to watch a YouTube video early that morning to relearn how to get my full Windsor knot correct–oh, and I forgot to put on a belt; no one noticed, and I forgot. Alas, my fate at these two schools is yet a mystery. One interview went well but could have gone better and the other definitely went well. 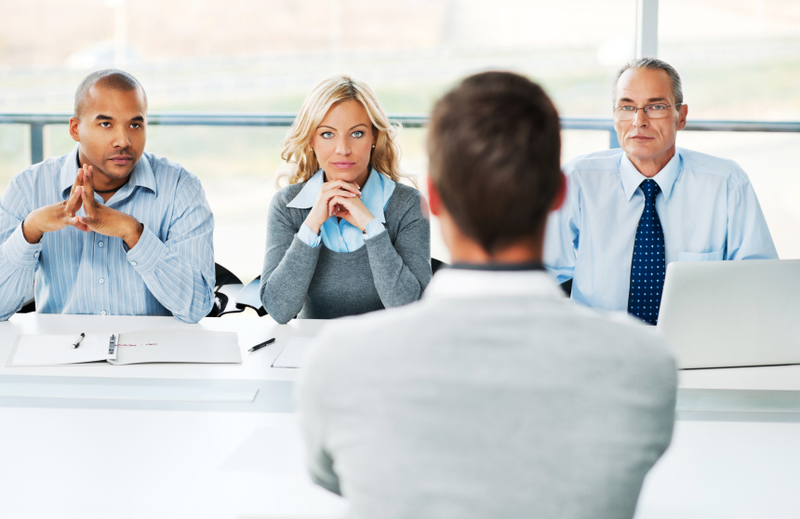 Regardless of how good or bad your interview goes for a given program, however, there simply is no way to know where you stood on the continuum of applicants going INTO your interview. If you were already at the bottom of the barrel, then a great interview still might not be enough to have you make the final cut. In contrast, if the school had already decided that they really, really, really wanted you then a substandard interview isn’t likely to send you packing–unless, of course, you vomit on an alumnus or an adcom (SO glad I didn’t do that!). Don’t know why, but I already see you sitting in a Wharton class of 2015! well gaurav, I surely wouldn’t mind! lol. Were you able to make it out to Tuck’s diversity conference? I got invited but wasn’t able to make it due to a scheduling conflict. Hey bschool. I was in the same boat as you, and was very disappointed not to be able to make it. Congratulations on wraping up on the two! I visited Booth last week. Loved the program and the building, I’m sure you’ll like it too when you visit (maybe for the admit event haha). Relax with your friends; health down. Putting together a strong application that gives you your best shot of landing some interviews at your top choice schools is not a sprint, it’s a marathon. Frequent breaks will be necessary both for your sanity and so that your brain can marinate on what you are currently working on and reach new “aha” moments. Have fun. Then work like hell the day after. Don’t answer the phone. TV off. No YouTube. You know the drill. Woohoo you just helped me take out of the guilt feeling 🙂 Great thanks! And yes, I had to set my phone in “no disturb” last night to think through my set backs. Can’t wait until Jan to be free of these! Congrats to you!! I love your blo – gives me some encouragement! Keep up the good work. hahaha, classic! I too, forgot to pack a belt for my Kellogg interview and had to improvise by rummaging through my friend’s closet only to find a crusty, old belt that looked like a prop from Pirates of the Caribbean. Classic indeed. Good luck with Kellogg! Nice to know you didn’t SSL. SSL would have been…so unfortunate; unGodly, in fact. Sh– , smear and light. Basically make the biggest mess possible. Think Hangover I and II or bridesmaids. I really like your blog. 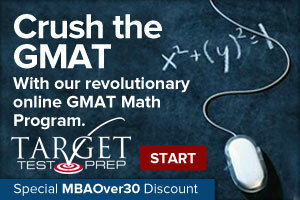 Our MBA trajectory has been similar in many respects. 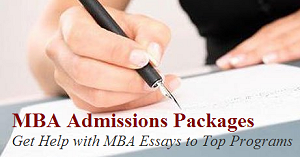 I would really like to meet you at one of the admit weeks. Regarding the team based interview, i thought it was a good exercise but I think Wharton still needs to fine tune the questions. Interesting; you see, I actually liked the ambiguity (one of the FEW times I like ambiguity); plus I think it was done on purpose. Less info gives the applicants more room to show what they would bring to the table in a similar situation form beginning to end. The lack of structure is intentional. The ambiguity was fine. But one questions covered a narrow issue while the other was exceedingly broad. I spoke to candidates who had to discuss the “short” question and they told me that they didn’t really know what else to add after 10 minutes of discussion whereas in my group we almost ran out of time and could have gone on for hours. I think we had the same question. This is, its not so much about the question as the interaction IMO. True. It certainly must be refreshing for the adcom . I know I would enjoy watching a few of these discussions. Mine was clearly amused. I liked her a lot; very adept and analyzing human behavior and group dynamics. We had two and like your Booth interviewer they were both polite but hard to read. Ah interesting. Mine was extremely engaging; but that doesn’t mean we were reading her. She was definitely a pro at this as well. Other than giving us the initial instructions, ours sat in the corners, took notes quietly and occasionally told us how much time we had left. Then, at 35 min. on the dot, they told us our time was up. I could hear the jeopardy music in the background. Well they are supposed to be quiet during the exercise; it was during the 1 on 1’s that we really got to experience how cool ours was. Came up to my city without even paying a social visit? 🙂 If nothing more, some of our interviews are behind us. I went to a prospective student event at the Wharton campus in downtown SF. It is a really nice space! Please forgive. I was under duress. And yes, it is a VERY nice space. I like how you can write on the glass-ish walls of the group study rooms…and how people on the outside can see your writing flipped around as they walk by. How do people blow your cover? How do they know you’re having this blog?!? I’m an URM; there ain’t many of us. Add my age and city to the mix and it becomes easy for those who care to pay attention. Haha, out of respect for the schools? Come on man, you and I both know you aren’t saying anything to prevent others from getting a leg up. I have done the same thing with my interview details, I would be nuts not to. The way I see it is, as soon as I get admitted (knock on wood), I will offer up any and all info I have if people ask for it. But my identity is not nearly as recognizable as yours so I do have that safety. That may be the only benefit of round 2; you get the insight of the R1ers who were admitted and now willing to share. I personally don’t see any real benefit to R2; most people procrastinate and typically end up writing essays over the holidays either way. Most processes don’t change much from year to year and the previous year’s admits are generally a well spring of wisdom. I can see some benefit in a year like this where something changes drastically; though, I see it as minuscule. Best of luck to you in getting into the programs of your choice man, sincerely. Thanks for reading and don’t forget to subscribe. Hey man, I also recently completed the wharton gauntlet myself in SF as well. I also thought it was a ton of fun doing the discussion. I had my harvard interview earlier that week and it wasn’t nearly as fun as the wharton interview. Wharton’s SF pad is damn sweet!! This is so cool. Nice one! I know it sounds a bit ‘spammy’ but have you checked out BusinessBecause? It might be helpful if you wanted to find current students at Booth and Wharton to ask about their experience/application process (seeing as they’ve just been through it). Theres a new MBA Clubs section, Booth has 2 clubs and Wharton has 3 – might be worth approaching the presidents as they’re definitely proactive members of the student community? Keep up the great blog posts!